I really adore Annabelle's Lipsies lip balms. 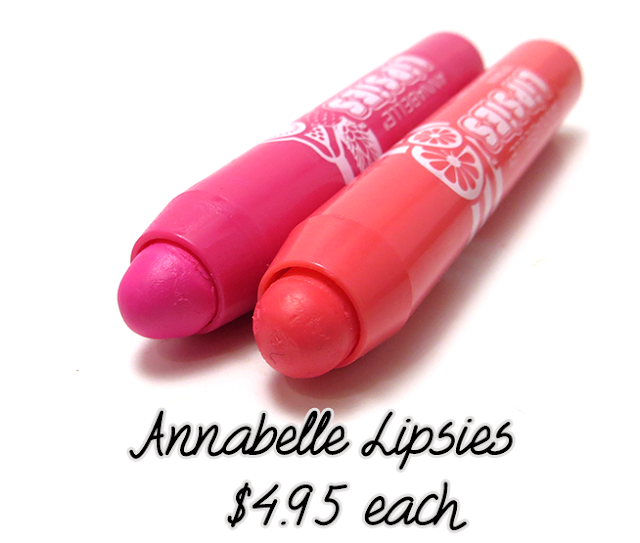 They're available in a wide variety of shades, smell delicious, and are quite pigmented for a balm. They're a slicker, glossier balm that look gorgeous on the lips. I love that they're less than 5 bucks! A Wet n Wild classic. 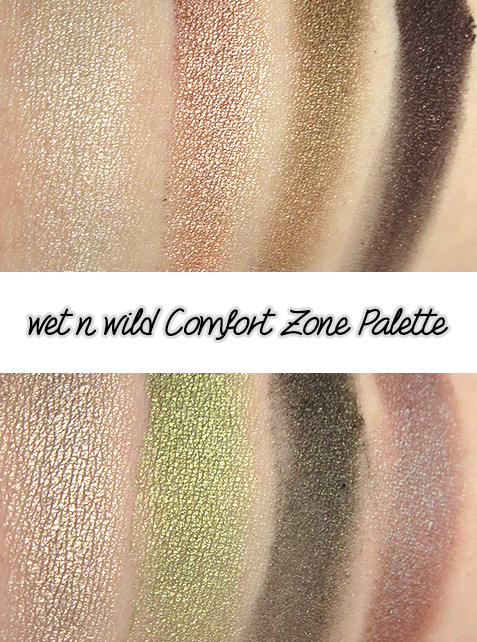 One side has classic neutrals, the other green/smoky shades (including a duochrome that is a MAC Club dupe!) 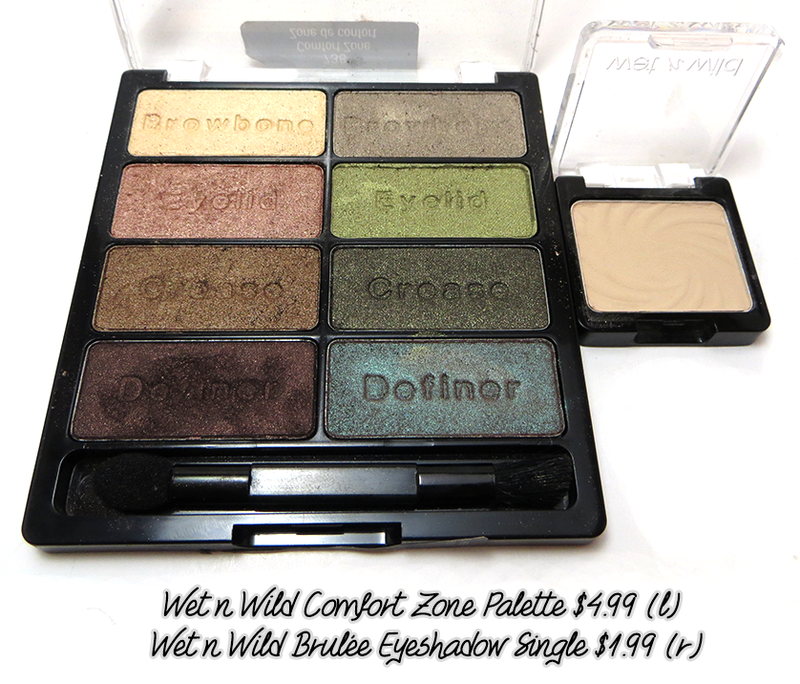 These shadows are pigmented and buttery, and this palette is great to own, whether you're a makeup veteran or just starting your collection. Wet n Wild has quite a few eyeshadow hits. Their best shades are smooth and buttery, and Brulée is a staple to have in one's collection. It's a great matte neutral cream, perfect for blending or using as a base or highlighter. I love gel liners and essence's is one of the best I've tried! Midnight in Paris is an opaque black with a smooth, long-lasting formula. My jar has seen better days (it's about two years old...) and has dried up a bit, but I can still get it work. I do recommend replacing gel/cream liners every year or so though to protect your eyes, and at $3.99, it's easy on the wallet. This is a simple pencil with a harder formula that is great at preventing mistakes. Apply lightly for lighter pigment, harder for darker. 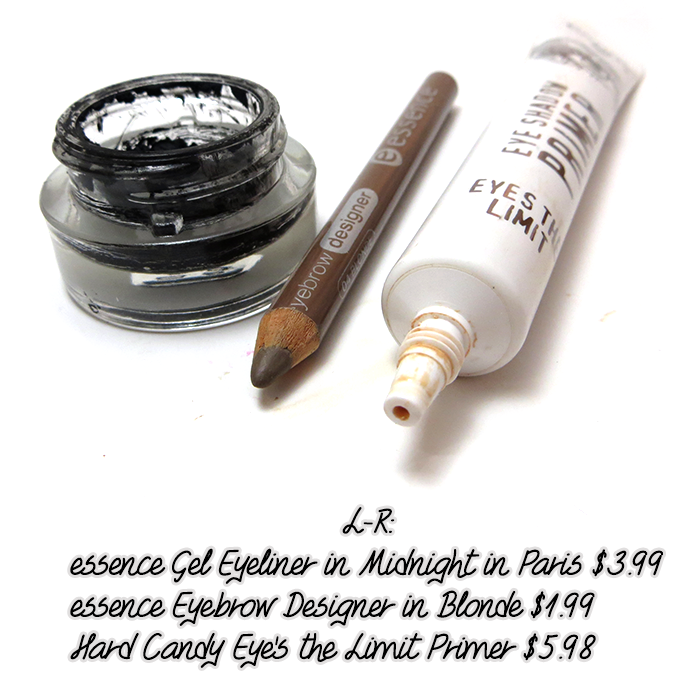 It lasts all day on my brows, and it's also available in black and brown. This product is the reason this list is $6 and under instead of $5 and under. 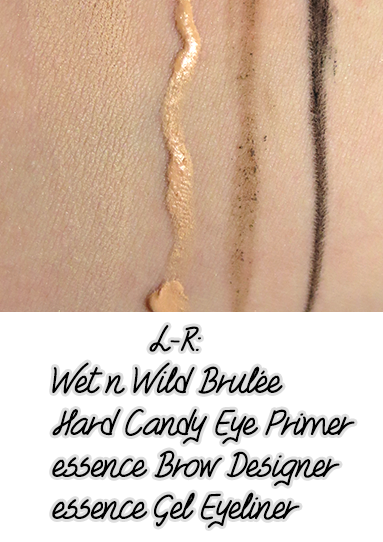 I couldn't resist adding this primer, because drugstore eyeshadow primers are still fairly uncommon, and Hard Candy's is a good rival for my favourite (non budget-friendly) primers by Too Faced and Urban Decay. It's a full ounce for only 6 bucks, and it works quite well. I haven't had issues with fading or creasing. There are also smoky and shimmer versions which I need to try! I hope you enjoyed this post and found a few products to try! Have you tried any of these? 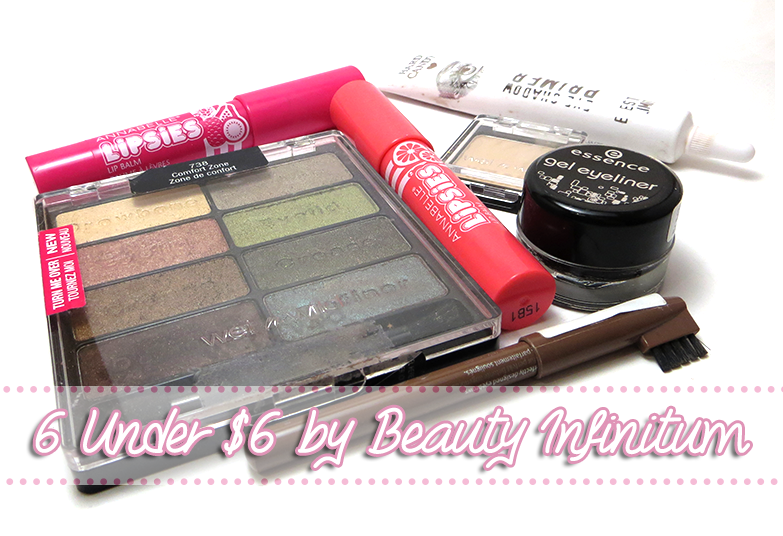 What are your favourite inexpensive beauty products? 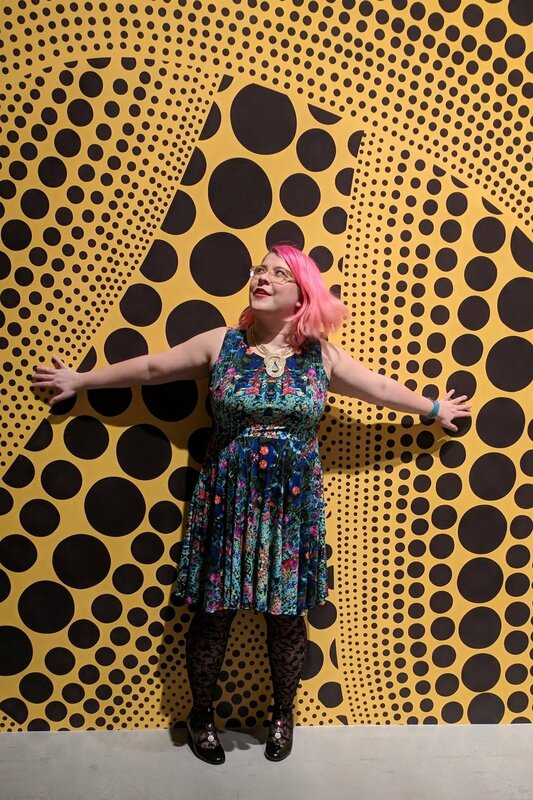 Thank you Danielle for letting me take over your blog today! Thanks Stephanie for introducing me to a few more drug store steals I can get when I'm between products. 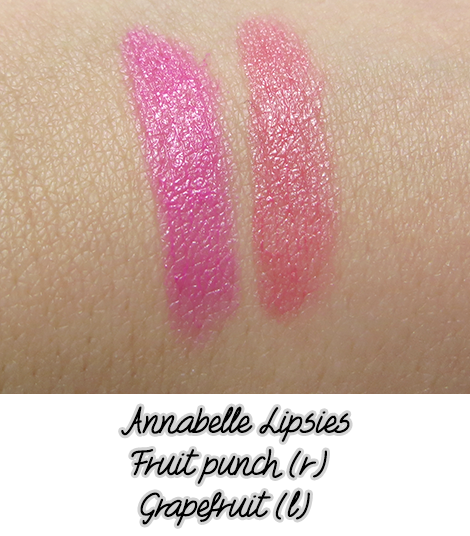 I'm especially curious about those Annabelle lippies because, as we all know, I have a lipstick problem! If you want to see more CBB Budget Beauty, check out some of the posts below!